We use a depilatory warm treatment wax that progressively weakens the hair growth making re-growth finer, softer and slower. 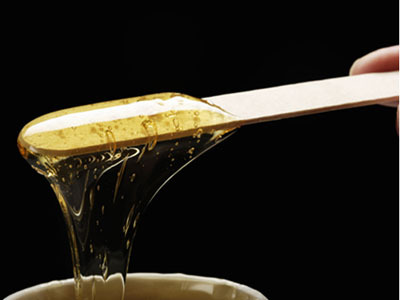 Warm wax is applied with a spatula in a thin film and removed with a strip. A Tea Tree soothing and cooling afterwax moisturiser is applied to treated areas. *Please note that for waxing to be effective, hairs should be approximately ¾” in length and free from body moisturiser on the day of the treatment. 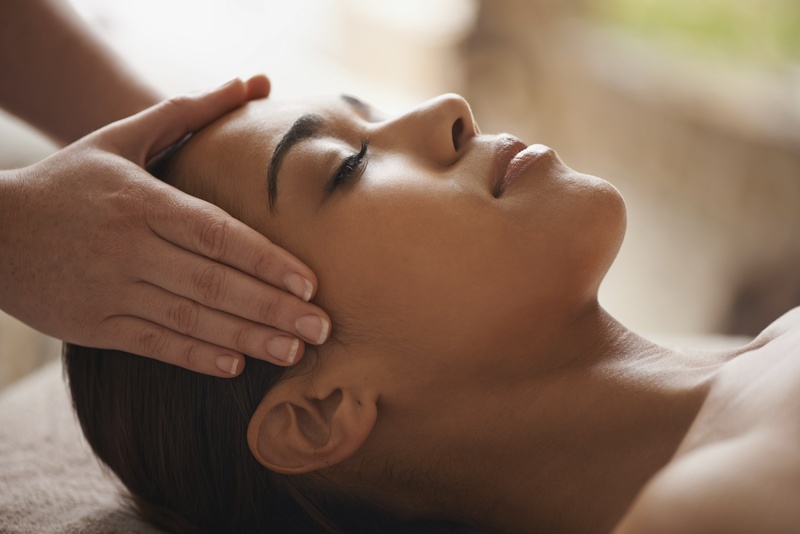 For intimate waxing we advise to shower or bathe before arrival for treatment. Cotton underwear is advised on the day for intimate waxing. *No heat treatments, self tanning or swimming should be carried out within 24 hours of a waxing treatment. 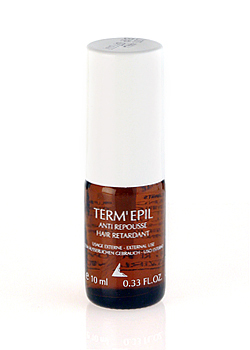 Term-Epil was conceived over 20 years ago by Swiss scientists, with continued development and research, they have created the industry’s leading hair retardant lotion, a reputation gained from the results it has achieved. The Swiss have a very technical, biochemical approach to the qualities of this product and we can say since using it over the past 15 years we have seen some excellent results. It is applied immediately after Waxing and then twice a day for the next 3 days. Term-Epil reduces the size of the next hair growth cycle by preventing new hair cells from joining together, whilst also destroying the hair reproductive system. The key ingredients are Glycolic Extracts of Lemon, Nettle and Willow for their small molecular size and ability to absorb down into the follicle and break down those new forming cells. It also contains Arnica extract to calm and soothe your skin. Home care products are available to purchase, speak to your therapist about these.